Worming ewes around lambing remains a common practice in UK flocks, but whole flock treatments are costly, time consuming and add to the speed with which worms develop resistance to wormers. 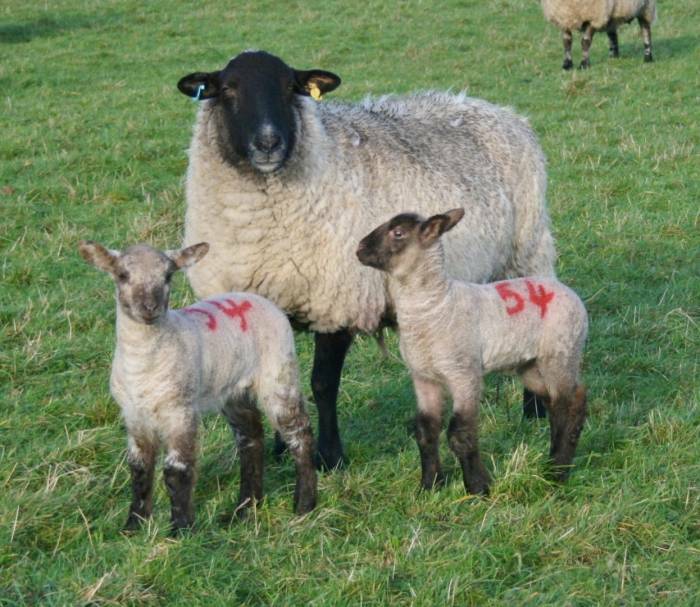 To address this the Sustainable Control of Parasites in Sheep (SCOPS) group, an industry body providing best-practice advice, is urging producers to consider carefully which ewes need to be treated around lambing this year. To help sheep farmers decide which ewes to treat, SCOPS has issued a five-question check list to help farmers and their animal health advisors understand the background to worming at lambing and apply it to their individual flocks. 1.Why do we treat ewes? The rationale behind treating ewes is that it reduces the number of worm eggs a ewe puts onto pasture when her immune system relaxes around lambing. Along with larvae that have overwintered, this will be the source of the worms that will challenge lambs later in the season. So, if we can differentiate between the ewes that put out the most eggs from those that shed the least, we can treat selectively. 2. Which ewes do we need to treat? The ewes that produce most eggs are generally the ones under the most pressure in late pregnancy. This includes ewes in lower body condition, younger ewes and triplet-bearing ewes. These are the priority to be wormed around lambing. 3. What is the minimum proportion of ewes I should leave untreated? To reduce the risk of selecting heavily for resistance in the worms, it is generally recommended you leave 10-20% of your ewes untreated. This means 10-20% in each grazing group, not just across the flock. However, producers that have been monitoring faecal egg counts are finding a much higher proportion can be left untreated if ewes are fit and healthy, without any detriment to lamb performance. 4. What evidence is there to support this advice? Independent UK research carried out by the Animal and Plant Health Agency (APHA), funded by the Veterinary Medicines Directorate (VMD) and published in 2018 found no advantage in blanket worming ewes at lambing. Faecal egg counts from lambs reared on ewes that were wormed with either a short or long-acting (persistent) wormer were not lower than faecal egg counts taken from lambs reared on ewes not treated with a wormer. It is doubly important you leave 10-20% of the ewes untreated if you use a persistent wormer. The length of time the wormer persists is not the same across all worm species. Treating ewes will not have any effect on whether or not your lambs are at risk from nematodirus. Do not use in ewes year-after-year and certainly not if ewes are going into the same fields as last year, or are being turned out onto low-risk pasture. Selection for resistance is a risk because suckling lambs are exposed to a low dose of the wormer via the ewes’ milk.